Spider-Man across the decades by Humberto Ramos for Amazing Spider-Man #692. In the world of superhero comic books, one thing was true: adults were the heroes, and teenagers were plucky sidekicks. That convention was turned on its head in 1962 when Marvel Comics presented Spider-Man to the world. Retelling of Spidey's origin from Amazing Spider-Man #94. Shy bookworm high school student Peter Parker was attending a science exhibition where a spider became accidentally irradiated and bit him. 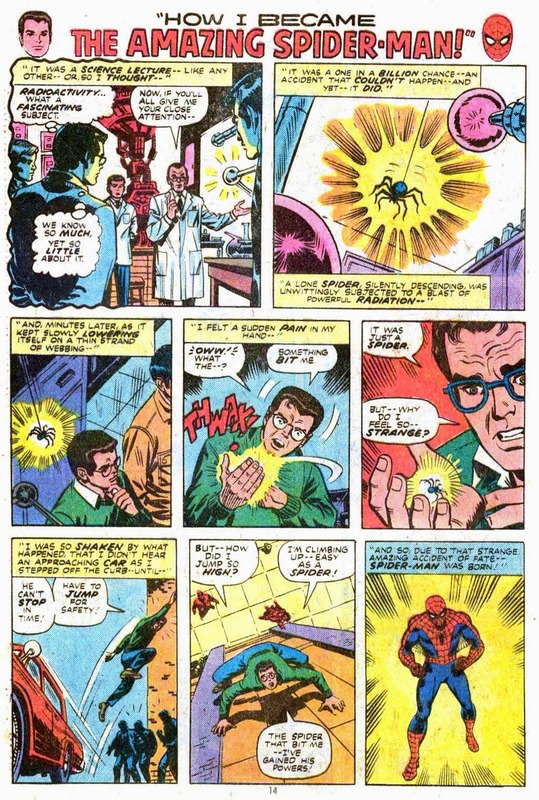 The result bestowed Peter with all of the spider’s abilities, giving him super strength, agility, the ability to cling to any surface, and an early warning spider-sense. Deciding to test his new abilities, Peter entered a wrestling exhibition match and won, gaining him the attention of an agent and ending up on TV. Designing a costume and using his scientific prowess to create wrist-mounted web-shooters, Spider-Man was born. Remember, kids: letting burglars go will end up costing you a relative. Unfortunately, fame went to young Parker’s head. He allowed a burglar to escape after robbing the TV station. That same burglar went to the home of his Aunt May and Uncle Ben, who had taken him in when his parents died, and shot Ben while attempting to rob the house. The police cornered the burglar in a warehouse and Spider-Man took matters into his own hands, capturing him and discovering it was the same burglar he let escape. Learning with great power came great responsibility, Spider-Man became a hero from that day forward. 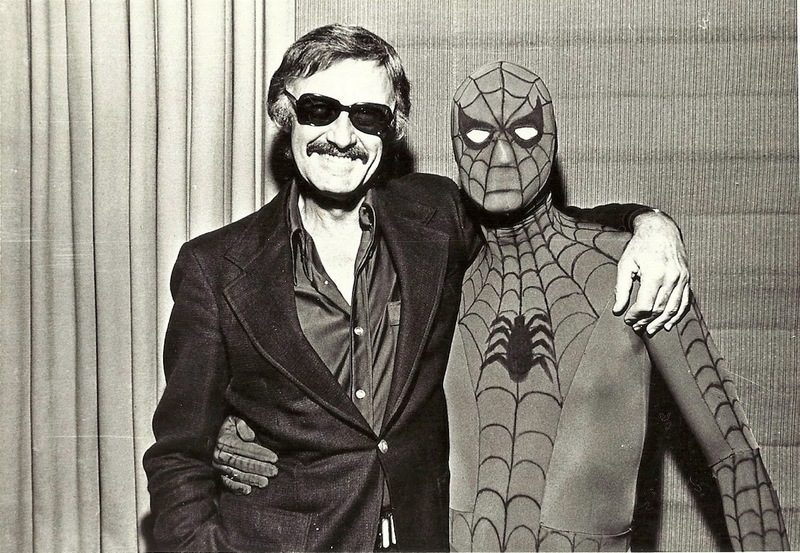 Stan Lee hangs out with his creation. Marvel editor and head writer Stan Lee was riding high from the recent Marvel renaissance ushered in by the Fantastic Four comic that he co-created with artist Jack Kirby, but he was looking for the next big idea. Factual accounts on how that idea came about have varied from creator to creator and lost through the annuls of time. One account has Lee inspired by the pulp hero The Spider and a spider on the wall, as well as a desire to tap into their teenage market with a character they could relate to. The character’s name Spider-Man was inspired by Lee’s fascination with rival publisher DC Comics’ Hawkman. 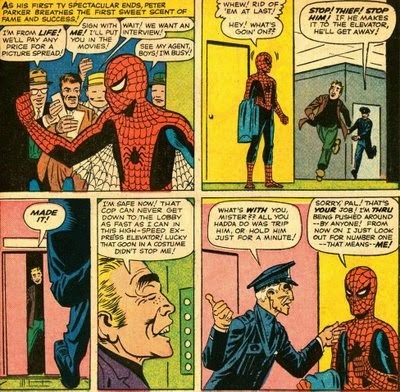 The original Jack Kirby/Joe Simon version of Spider-Man. Another account was Spider-Man was originally created by Kirby with Joe Simon in the 1950s before renamed him The Silver Spider. The character was intended to appear in Crestwood Publications’ Black Magic, but was never used. The character was an orphaned boy who lived with an elderly couple and discovered a magic ring that gave him powers. They later reworked their concept into TheFly for Archie Comics. Peter develops his equipment and costume. In both accounts, Kirby had shown Lee his original concept and Lee asked Kirby to work on the new version. Ultimately, Lee disliked Kirby’s version, finding it far more heroic than he envisioned for the character. 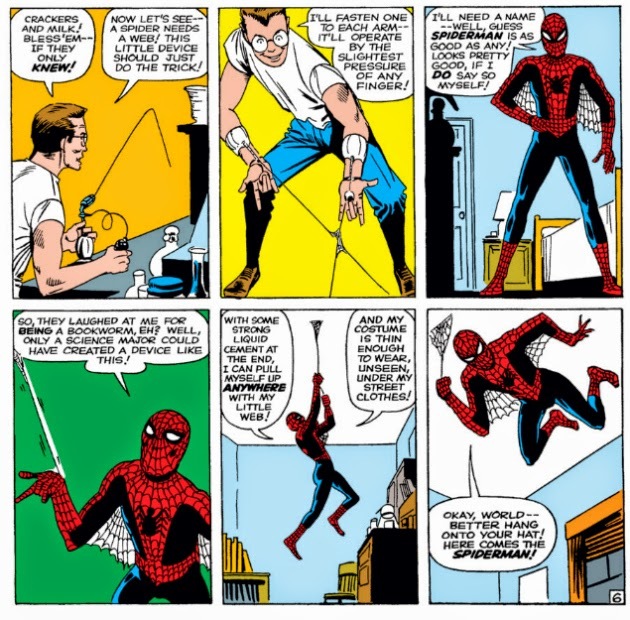 Lee turned to the story’s intended inker Steve Ditko to give the concept a reworking off of a synopsis by Lee, jettisoning the mystical elements of the character and reducing his age. 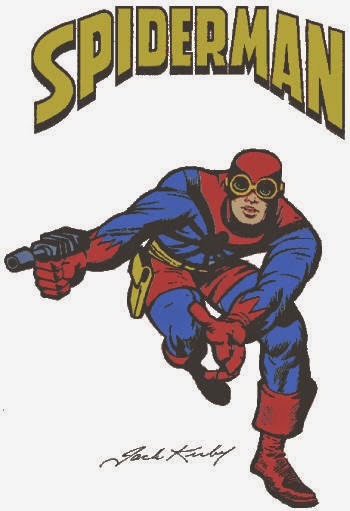 Ditko crafted the well-known costume for the character, his wiry appearance, the idea of a full-face mask to hide his youth and make him more mysterious, and giving him hidden mechanical web-shooters on his wrists. 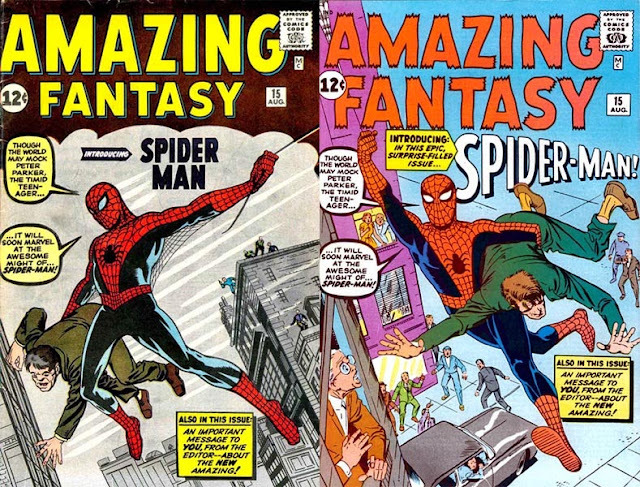 Amazing Fantasy #15, the published cover and the unused Ditko cover. Initially unsure about the new hero, publisher Martin Goodman gave permission to publish it in the final issue of a cancelled series to minimize the risk of it failing. Spider-Man appeared in the 15th issue of Amazing Adult Fantasy, renamed Amazing Fantasy. Although the interiors were drawn by Ditko, Lee wasn’t happy with his original cover and had Kirby redraw it with Ditko inking over him. Ditko’s cover, however, did end up making the rounds as a pin-up in several publications. Amazing Spider-Man vol. 1 #1, 1963. A few months later, Goodman reviewed the sales figures for the issue and was surprised to learn it was their best-selling comic yet. 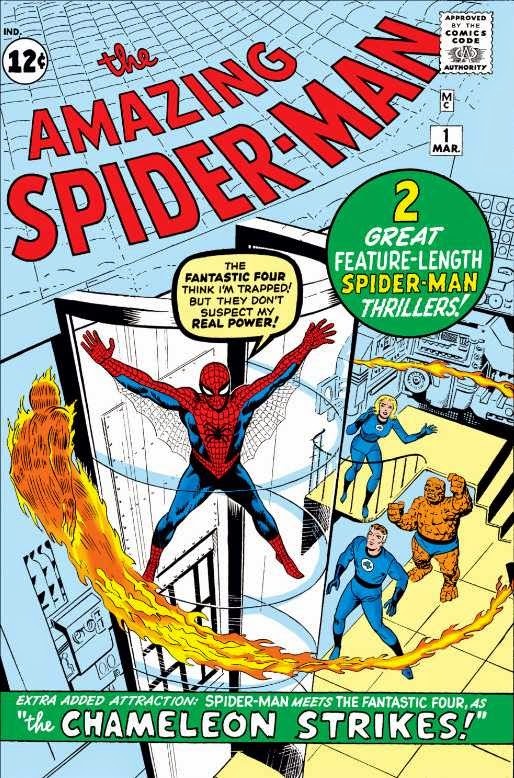 Unable to argue with success, Goodman commissioned the first ongoing series The Amazing Spider-Man in 1963. As sales and the character’s popularity continued to grow, Spidey eventually became he flagship character for Marvel, adorning most of their advertisements, merchandise, letterhead and even envelopes. Spidey has undergone some changes over the last 5 decades. 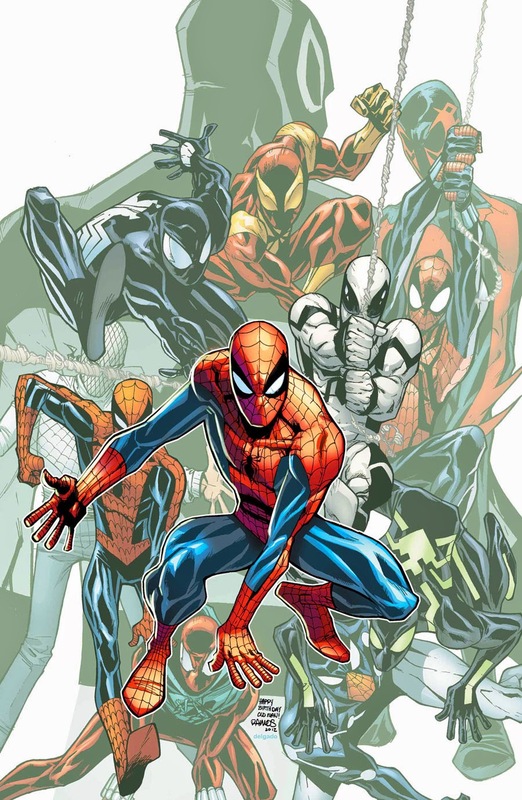 Left to right from top: Amazing Bag-Man, black costume, Spider-Lizard, Hornet, Spider-Hulk, six-armed, Ben Reilly, wrestler, Unlimited, 2099, Negative Zone, Spider-Ham, Prodigy, Scarlet Spider, 2211, Cosmic, Ricochet, Spider-Man, Dusk, Spider-Armor (with an appearance by Aunt May). Over the years, Spider-Man has starred in numerous comic titles, guest-starred in even more books, been the subject of many toys, and, inevitably, several TV series--including on Saturday morning.